The EU should have put forward a strong and swift response to Russia, as not only Ukraine’s political identity and unity is at stake with the recent developments in the Crimean Peninsula. A high-stakes game is played and lost in Brussels over Ukraine and the Crimean invasion by Russia, European leaders being called upon to consider Russia’s violation of international law and to produce firm and coherent responses to the military aggression against Ukraine. Coherent here is the operative word, since the EU has only articulated weak rhetorical reactions starting with the FAC’s declaration from Monday and continuing with yesterday’s emergency summit. Thursday’s emergency meeting in Brussels (6 March), called for by the EU Council President Herman Van Rompuy to discuss possible sanctions on Russia, has yielded, as predicted, a watered down response. EU member states were not expected to impose tough measures on Russia, and yesterday’s summit demonstrated that the EU is merely a risk-averse talking-shop without a strong security and strategic vision in the Black Sea region. The summit demonstrated once again the EU’s propensity for declaratory statements and the lack of political will and cohesiveness of the EU member states concerning relations with Russia. The outcome of the emergency meeting fell short of the expectations of immediate and resolute sanctions against Russia[i]. On a positive note, the language of sanctions was indeed toughened, with Germany in particular putting forward a more hardened stance concerning Russia. One aspect remains very clear – it is highly difficult to impose short-term credible costs on Russia, but further medium and long term economic measures could be substantively discussed in the future. The concrete measures discussed on Thursday by EU leaders could be summed up by an overarching twin-tracked strategy, a weak containment move that strictly targets Russia with threats of strong consequences if the crisis in Crimea does not de-escalate, and a continued capacity-building move that addresses Ukraine’s dire economic crisis through financial assistance. On the one hand, EU leaders agreed yesterday to urge Russia: to immediately withdraw its military from Ukraine[ii]; to suspend talks with Moscow on visa liberalization; to allow the presence of international monitors in Crimea; to put on hold talks on a new economic cooperation agreement; to suspend the participation of G8 EU member states (Germany, France, UK, and Italy) in the G8 Summit preparations in Sochi; and to finally “decide on additional measures, such as travel bans, asset freezes and the cancellation of the EU-Russia summit”[iii]. The EU statement[iv] from Thursday (6 March) underlined that “any further steps by the Russian Federation to destabilize the situation in Ukraine would lead to severe and far reaching consequence… which will include a broad range of economic areas”. The wording used is symbolically strong, but the nature of “severe and far reaching consequences” was not explained, as EU Council President Herman Van Rompuy would not comment[v] whether such measures would include visa bans and asset freezes involving high ranking Russian official and the Russian President Vladimir Putin. On the other hand, the EU continues to support Ukraine, provided the country agrees to a deal with the International Monetary Fund. 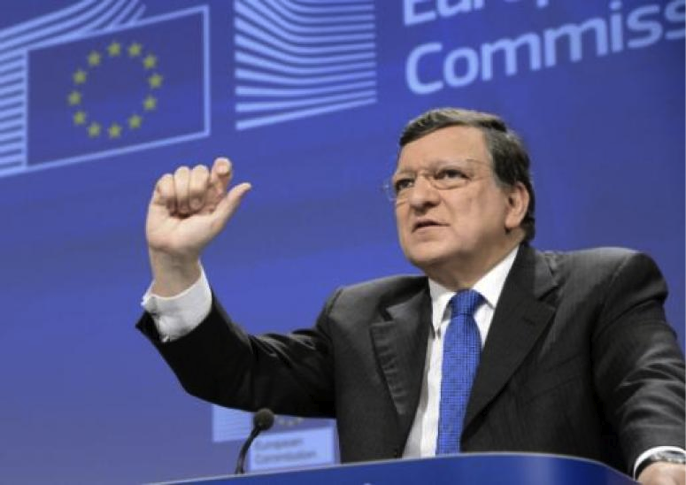 The European Commission President Jose Manuel Barroso proposed on Wednesday (5 March) an 11 billion euro financial aid package to help Ukraine’s failing economy[vi]. However, questions were raised whether such an economic package is enough to keep Ukraine’s economy afloat in the long-run. Russia’s revisionism in the former Soviet Bloc is a bitter reminder of Cold-War tactics redolent of old regional stand-offs and conflicts. Russia has succeeded to challenge the geopolitical status-quo in the Black Sea region and now the regional balance of power needs to be reconfigured. The developments in Crimea over the past weekend have tipped the balance in favor of Russian President Vladimir Putin. Worries that Putin will not stop with the Crimean Peninsula are real in the eastern periphery, with Poland, Romania, and the Baltic States voicing increased concern due to both military and economic potential repercussions in the region. Eastern European countries should indeed be very worried that what is happening to Ukraine can happen to them in the future, as Russian President Vladimir Putin reiterated Russia’s legitimate right to protect Russian-speaking minorities in Tuesday’s press conference in Moscow. Moscow advanced the argument that its military intervention in Crimea was a humanitarian response to defend Russian speaking minorities in the region under the claim of the “responsibility to protect” principle, whose freedoms and human rights were at stake. Such foreign policy tactics from Russia of engaging illusive enemies abroad in the hopes of consolidating domestic political support can be either indicative of a weak domestic politics and a failing dictatorship[vii] at home or hint towards future empire-remaking aspirations. The Crimean Peninsula, a new case of frozen conflict? In a press declaration at the EU summit on Thursday in Brussels, Ukraine’s interim Prime Minister Arseniy Yatseniuk expressed fears after meeting with EU leaders that if the Crimean crisis goes unchecked[viii], Russia will continue to intervene in other former Soviet states. He also stressed the fact that the Crimean Peninsula could become a “frozen conflict” as in the cases of Moldova and Georgia. 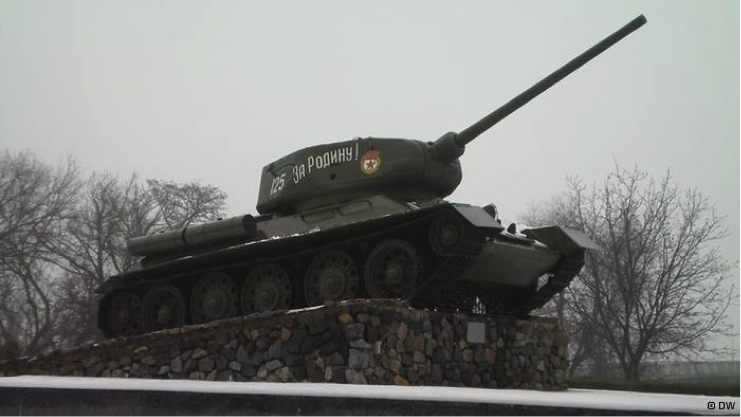 Moldova in particular has been facing stringent challenges from the Russian “predatory” foreign policy in the Transnistria frozen conflict, where Russia has played a disruptive “re-colonizing” role by supporting the breakaway enclave military and politically. The corrosive influence of the existing frozen conflicts in the Black Sea area remains the most dangerous source of insecurity for the EU at its eastern border, affecting the statehood, sovereignty and democratic process of countries in the region. Frozen conflicts are also the main cause of asymmetric security threats such as the traffic of human beings, armaments, black economies, and the justification of a Russian “stabilizing” and supposedly peace-keeping presence. As the talks continued in Brussels yesterday (6 March), the Crimean Parliament decided “to enter into the Russian Federation with the rights of a subject of the Russian Federation”[ix] and pushed the region further in the direction of a frozen conflict. The Crimean Parliament announced its intention to become seek entry into the Russian federation and to call for a referendum on March 16th. In press conferences after the EU summit, both German Chancellor Angela Merkel and EU Council President Herman Van Rompuy strongly refuted the Crimean referendum as it was in breach of the Ukrainian constitution and therefore illegal. What can be expected next? A regional New Cold War scenario is not out of question, with several expected political diplomatic stand-offs between the EU and Russia, further economic sanctions, the stop of business as usual by canceling the South Stream agreements, and the reciprocal blocking of international dossiers concerning Syria and Iran. More Russian military maneuvers in the EU’s eastern periphery are also possible, putting further strains on the commercial and economic exchanges between the two parties. A new coherent and cohesive strategy should be put forward by the EU in the Black Sea area, concentrating on both “soft” issues – creating democratic state institutions, capacity building and development, establishing the rule of law – and “hard” security problems – the resolution of frozen conflicts and addressing Russia’s revisionism and “return to the region”. Such an approach should build on the EU’s state-building experience in the Western Balkans and on the lessons learned from the democratic transitions of Bulgaria and Romania. But it should also involve its CSDP experience in conflict management and the NATO’s input and commitment in matters of “hard” security issues. The EU should work with the informal power structures that exert leverage on government policies and with dense networks of civil society institutions that encourage stability, transparency and a high level of mutual trust in the states of the region – the focus being here on Ukraine, Moldova, and Georgia. Thanks for the article. In my opinion, EU will not give any strong response to Russia’s interference with Crimea. The opposition between Kremlin and Brussels is deceptive. In public there is a loud dissatisfaction by the Western leaders with Regard’s to Putin’s actions towards Ukraine. In reality, however, there is an indication that a deal has already been made behind the closed doors: Russia gets Crimea, while the EU gets the rest. Thank you for your interest in the blog entry. You made a very interesting point about the apparent opposition between Kremlin and Brussels. As well concerning a potential geopolitical deal behind closed doors. It would be really eye-opening to find out more about this particular topic and how the spheres of influence are being settled. This entry was posted on 07/03/2014 by ISIS Europe in Contributors, Opinions, Raluca Csernatoni and tagged Balance of power, Black Sea, crimea, CSDP, EU Emergency Summit, European Union, Foreign Policy, Frozen Conflict, Georgia, International Monetary Fund, Military, Moldova, NATO, Russia, security, ukraine.